The objectives of the Barn Owl Trust petition are sensible and supported by the Campaign for Responsible Rodenticide Use UK (CRRU UK). Rodenticide labels should be made clearer to make it easier for users to apply rodenticides responsibly and safely. It is also correct that permanent baiting outdoors should not be a routine pest control practice and rodenticides, like all pesticides, should only be used when necessary. That much is common ground and CRRU is working towards these ends. But any assertion that rodenticides have contributed to a decline in the UK population of barn owls has no scientific foundation. As the Barn Owl Trust says, some barn owls are indeed found dead and shown to have been killed by rodenticides. But a study of the causes of death of more than 1,000 UK barn owls1 was conducted by the Institute of Terrestrial Ecology (now Centre for Ecology and Hydrology). Almost 50% had been killed in collisions with road traffic. Anticoagulant rodenticides killed fewer than 2.0% of the birds found dead during the period of the survey when these products were in use. So if there had been a recent decline in barn owl numbers, it is much more likely to have been caused by traffic collisions than by rodenticides. But in fact there is no evidence of any recent decline, rather the opposite. During 1995 to 1997, four of the CRRU sponsoring companies worked with ornithologists of the Hawk and Owl Trust and the British Trust for Ornithology on Project Barn Owl2. This set out to discover how many barn owls breed in the UK. The survey, carried out annually for three years, showed that there were about 4,000 breeding pairs. Even at that time it was considered that a long-term decline in UK barn owl numbers had been halted by intensive conservation activity. The work of recording barn owl numbers is now continued by the Barn Owl Conservation Network3. The Network monitors barn owl nests all over the country and has estimated there to be about 9,000 breeding pairs of barn owls4. This estimate, and the population increase it implies, is borne out by the British Trust for Ornithology’s annual Breeding Bird Survey5 and the Trust’s new UK Breeding Bird Atlas6. Barn Owl Conservation Network volunteers also ring up to 10,000 new barn owls every year. Any suggestion of a recent decline in the UK barn owl population is not only incorrect but it also denies the painstaking and dedicated work of hundreds of barn owl conservation enthusiasts all over the country. Their work has halted a long-term decline in barn owl numbers, which began in the mid-19th century and continued through most of the 20th century. Thanks to the provision of 25,000 barn owl nest boxes across the UK, and other conservation measures, the historic decline has been reversed and barn owl numbers are growing again. Even so, some years are indeed catastrophic for barn owls. 2013 was one of them and breeding activity was down 45-95% on normal levels, caused mainly by the cold wet weather. What is beyond doubt, and this is correctly highlighted by the Barn Owl Trust, is that a very high proportion of British barn owls carry residues of rodenticides in their bodies – mostly these are the more potent second-generation anticoagulants (SGARs). This means that at some stage in their lives the birds have consumed contaminated prey – probably the wild field mice and voles they habitually feed on. Of course, this brings a justifiable concern that such widespread, low level contamination may cause effects that we cannot yet detect. More work is certainly required on this to provide much-needed reassurance. But for the time being we can say that there is no evidence that these residues, although unwanted, are causing observable adverse impacts on UK barn owl populations. A book published last month (January 2014) about owls, written by British Trust for Ornithology researcher Mike Toms, provides a comprehensive review of the changing status of UK barn owl populations, suggesting possible reasons for changes in both numbers and distribution. It provides no evidence that would support the assertion that there has been a significant decline in the UK barn owl population driven by rodenticide use7. The scope of SGAR residues carried by barn owls, assessed annually by the Predatory Bird Monitoring Scheme8, was one of the findings that led to the establishment of CRRU. The purpose of CRRU is to tell rodenticide users about these residues in barn owls and other wildlife, explain how they occur and promote rodenticide application methods that minimise non-target exposure9. 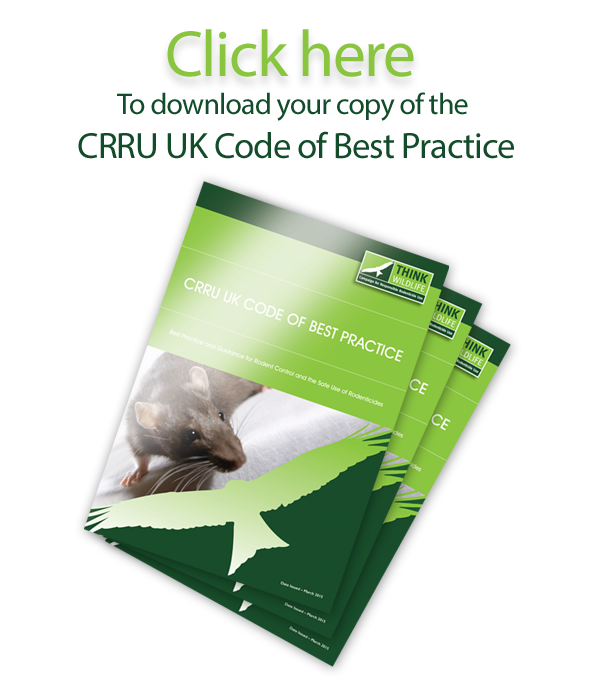 In June 2013, CRRU was tasked by the Health and Safety Executive with the coordination of a major new initiative to bring responsible use advice to all UK rodenticide users, so as to minimise wildlife contamination. The UK SGAR Stewardship Regime will begin in 2014, once its objectives, details of implementation and proposals for monitoring its impacts have been examined and endorsed by the Government Oversight Group consisting of HSE, DEFRA and DH (Public Health England). Among its many objectives, as requested by Barn Owl Trust, will be to improve rodenticide labels to make them clearer about how to use rodenticides without unnecessary impacts on wildlife, including barn owls, to ensure that outdoor permanent baiting is not used routinely and to make it clear that the best way to deal with rodent pests is not to have them in the first place, so avoiding the use of rodenticides when possible. However, rodent control using rodenticides responsibly is normally required when rat and mouse infestations have become established – indeed the effective removal of rodents from infested premises is a legal obligation. Such action must be conducted to prevent transmission of rodent-borne diseases, including salmonellosis, leptospirosis and cryptosporidiosis, to people, their household pets and farm livestock, and to prevent the contamination of our foods and surroundings with rodent filth, such as urine, droppings and hair. We must use rodenticides responsibly to avoid, as far as possible, any unwanted side-effects. Their use, if required, must also be timely, not ‘as a last resort’, to remove established rodent infestations that every day threaten our lives and livelihoods. 1 Newton, I., Wyllie, I., Dale, L. 1997. Mortality causes in British Barn Owls (Tyto alba), based on 1,101 carcasses examined during 1963-1996. In: Duncan J. R., Johnson D. H., Nicholls T. H., editors. Biology and conservation of owls in the northern hemisphere. Winnipeg, Canada: United States Department of Agriculture. Pp. 299-307. 4 The Barn Owl Monitoring Programme: establishing a protocol to assess temporal and spatial variation in productivity at a national scale. Ardea 97: 87-95. 6 Balmer, D., Gillings, S., Caffrey, B. and Swann, B. (2013). Bird Atlas 2007-2011: Breeding and wintering birds of Britain and Ireland. British Trust for Ornithology. Thetford, UK. 7 Toms, M. (2014). Owls. Collins, London. 419pp. 8 Walker, L.A. et al. (2013). Anticoagulant rodenticides in predatory birds 2011: a Predatory Bird Monitoring Scheme (PBMS) report.